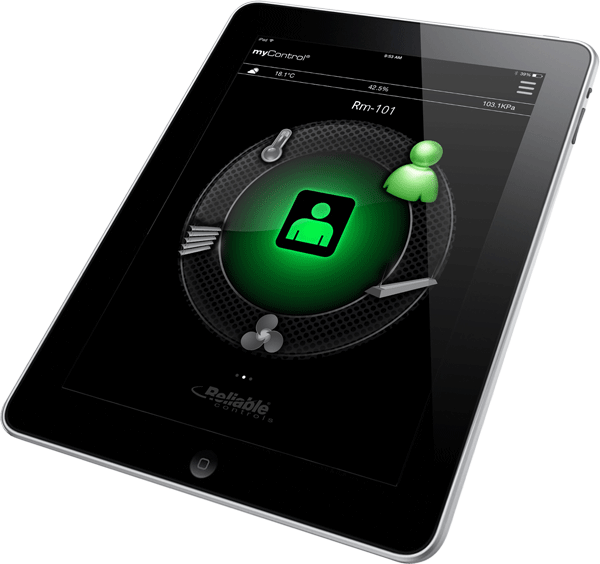 One myControl app installation can be used to display multiple views programmed in multiple MACH-System controllers. Choose the app view that’s right for you. Current app views include SPACEview, LISTview, and STATview. 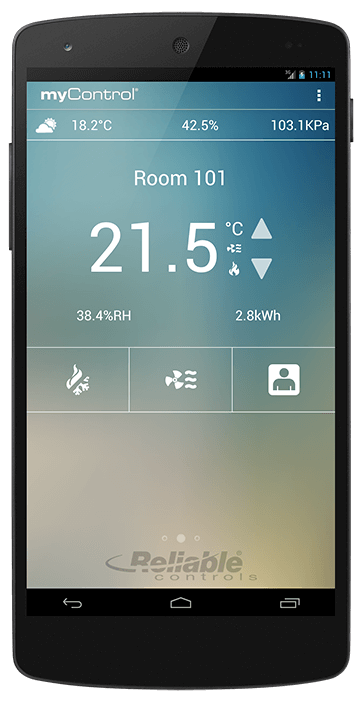 The number of views configured within the myControl app is limited only by the memory of the mobile device. Easily switch between multiple system connections saved in the app. 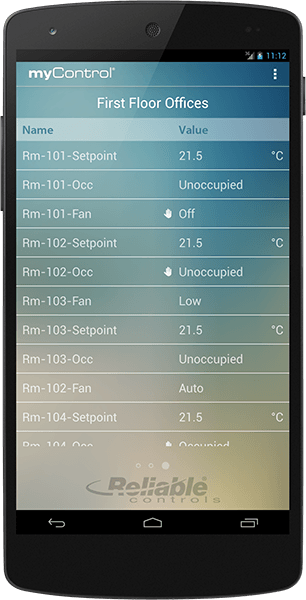 Any configurable object from anywhere in the MACH-System can be accessed from the myControl app (See view-specific configurable objects in the App Views section). 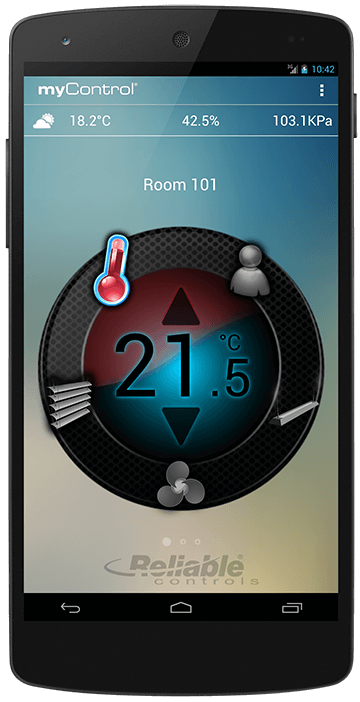 Choose from five different themes for your mobile device: normal, high contrast, black, green, and blue sky. Views can be programmed directly in a MACH-ProView using RC-Studio. 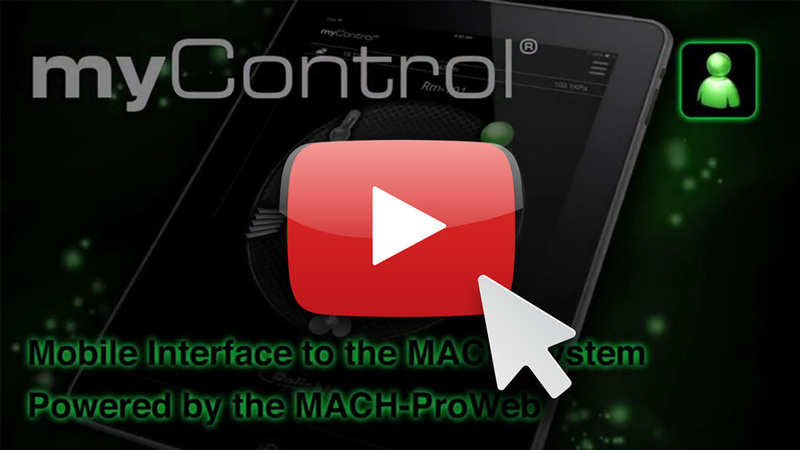 Use a myControl graphic template to configure views in MACH-System controllers other than the MACH-ProView.